Any Table of Contents that has never been used to create a Portfolio can be deleted from your institution's Chalk & Wire site. This lesson will teach you how to delete a Table of Contents permanently from your site. 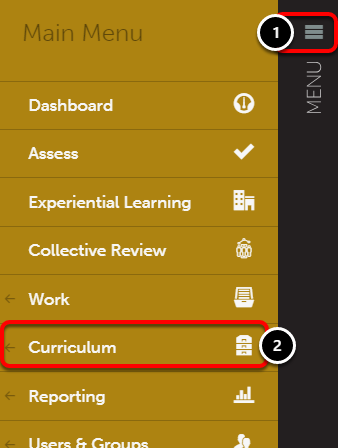 If the Table of Contents that you would like to delete has been used in a Portfolio, you can hide it instead of deleting it, which prevents users from using the Table of Contents in their Portfolios in the future. For additional information, please visit the Edit Table of Contents Settings support documentation. 3. 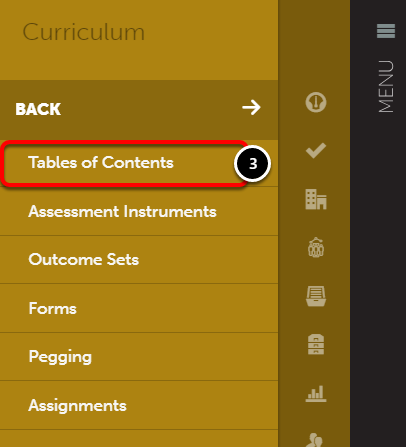 Select Tables of Contents. 4. Locate the Table of Contents that you would like to delete. 5. Click anywhere on the table of content's row to reveal its options. Select Delete. 6. When asked if you are sure that you want to delete the Table of Contents, click OK. NOTE: Please ensure that you are absolutely certain that you would like to delete the Table of Contents. This action cannot be undone.